Though it has received little more than a passing mention in press coverage of last week's Senate Judiciary Committee confirmation hearings on her nomination, Sen. Lindsey Graham (R-SC) asked Lynch about the constitutionality of the NSA's controversial warrantless spying program. "Senator, I believe that it's constitutional and effective," Lynch told Graham, who supports the warrantless spying program. "I know that there are court challenges to it, and, certainly, we will abide by those court regulations." Seconds later, after a follow-up question, she reiterated her support for the program, saying that it's "[c]ertainly constitutional and effective." Contrast Lynch's comments about the program to what the Privacy and Civil Liberties Oversight Board (PCLOB) -- an independent executive-level agency recommended by the 9/11 Commission that was formed in 2006 -- has said about it. In a January 2014 report, the PCLOB concluded that the program is illegal because warrantless bulk metadata collection under Section 215 of the USA PATRIOT Act "does not provide an adequate legal basis" to justify it. Records obtained have "have no connection to any specific FBI investigation at the time of their collection"
Records collected in bulk -- potentially catching every call made in the United States in dragnet surveillance -- "cannot be regarded as 'relevant' to any FBI investigation"
Collection of calls on a daily basis is "an approach lacking foundation in the statute and one that is inconsistent with FISA as a whole"
Section 215 "permits only the FBI to obtain items for use in its investigations; it does not authorize the NSA to collect anything"
The report also undermines Lynch's comment about the program's effectiveness. Though the PCLOB acknowledged in the report that the "threat of terrorism faced today by the United States is real," members were were unable to identify "a single instance involving a threat to the United States in which the program made a concrete difference in the outcome of a counterterrorism investigation" and that it "has shown minimal value in safeguarding the nation from terrorism." Though the White House Review Group on Intelligence and Communications Technology didn't weigh in on the legality of the warrantless spying program, though it certainly suggested that it's out of step with the Fourth Amendment, the five-member panel authorized and appointed by President Barack Obama did explain that "the use of section 215 telephony metadata was not essential to preventing attacks." The report noted that law enforcement could have obtained records related to terrorism investigations "in a timely manner using conventional section 215 orders." 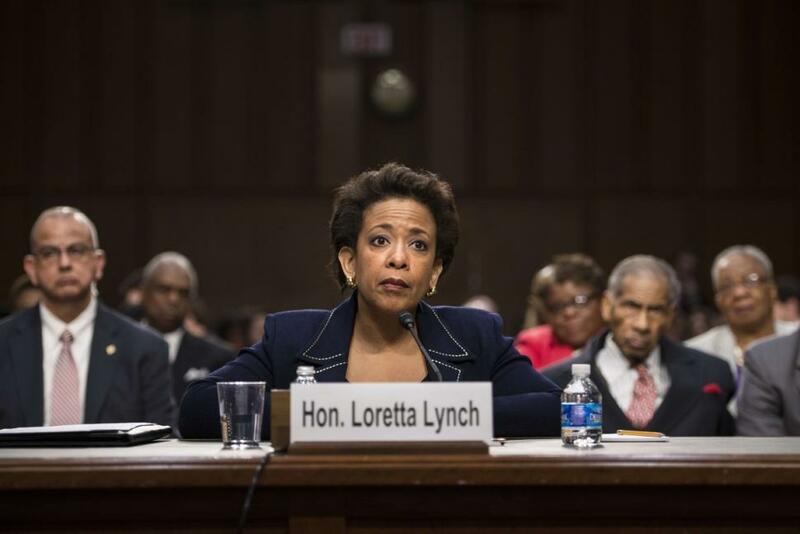 Lynch may just be repeating lines that she's been fed by the handlers overseeing her confirmation, but her comments are completely inconsistent with the Fourth Amendment guarantees "against unreasonable searches and seizures," as well as what we know about the program's ineffectiveness. If senators are truly concerned about the lawlessness of this administration, Lynch's comments in support of warrantless spying should play a big factor as they consider her nomination.